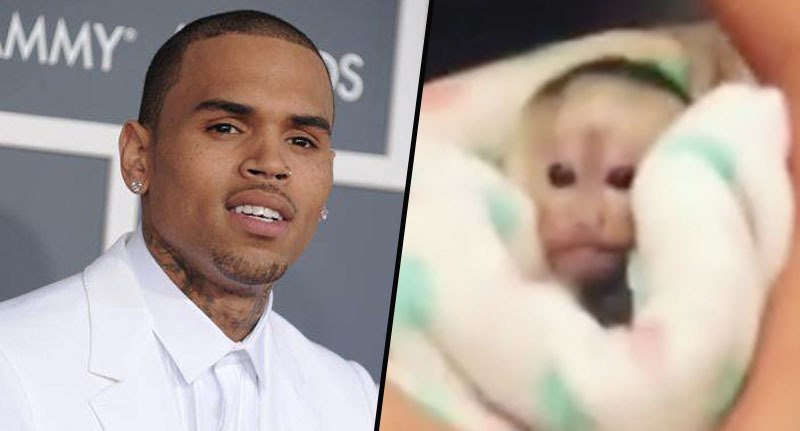 Last Christmas, Chris Brown did not give you his heart – probably because he was too busy giving his daughter a pet monkey. Yep, you heard me right. In a true display of ‘how the other half live’, the R&B singer gave his daughter, Royalty, a baby monkey for Christmas – nappy and all. He posted a video of Royalty unwrapping her present on his Instagram page last year (2017), causing outrage amongst many of his followers who accused him of animal abuse. And now it appears the present could land Brown in prison as The Dodo reports he’s been charged with two counts of illegally keeping a primate without a permit. The Los Angeles city attorney’s office confirmed yesterday (December 28), the 29-year-old singer will be arraigned in court on February 6. If charged formally with the crime, he could face up to six months behind bars. It’s perhaps not surprising this has happened. Immediately after posting the video last year, the singer faced a huge amount of backlash from people accusing him of animal abuse, and calling him an ‘idiot’ for giving a wild animal to his young daughter. Although Chris later explained he’d bought Fiji for himself – inspired by his idol, Michael Jackson’s choice of pet in Bubbles the chimp – some people were still unhappy with the captive primate’s situation. In fact, some people were so angry with Brown, they reported his actions to the California Department of Fish and Wildlife, who opened an investigation into the singer. Authorities obtained a search warrant for Brown’s residence, on the basis he never got the correct permit to own Fiji, but before his house was raided, he voluntarily agreed to surrender the animal. This isn’t the first time Brown has been in trouble with the law. In 2009 he was arrested and charged after assaulting his then girlfriend, pop star Rihanna. Last year, the singer opened up about the violent altercation which led to the demise of his romantic relationship with Rihanna, admitting she was ‘spitting blood’. 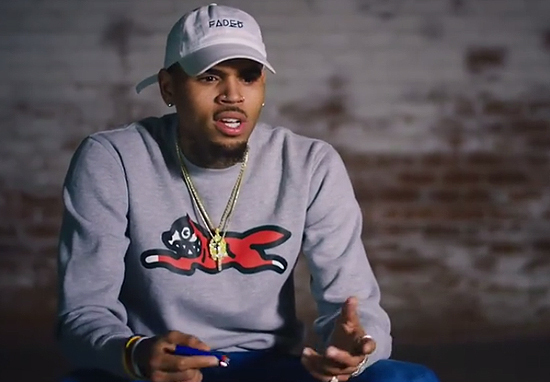 In the documentary Chris Brown: Welcome to My Life, he recalled how a fight began after a woman he’d previously slept with turned up to a Grammy’s party in February 2009, causing Rihanna emotional distress. …Me? I felt like a f*cking monster. A lot of the times, I look back at that picture and I think ‘that’s not me bro, that’s not me’. I hate it to this day, that’s going to haunt me forever.